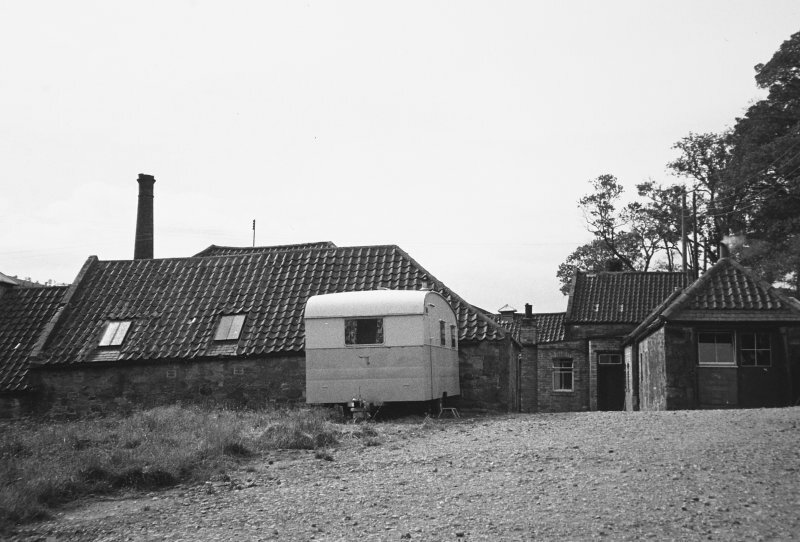 NT 719 739 Archaeological works in January and February 2005 comprised an initial desk-based assessment, a programme of trial trenching, and historic building recording of a Grade B listed farmsteading ahead of its redevelopment as housing. The desk-based assessment concluded that there was the potential for archaeological remains to survive, although there was later disturbance over areas of the site. Trial trenching, equating to a 5% sample of the development area, revealed a number of features of a relatively modern date. No further archaeological deposits were encountered. Historic building recording suggested that the standing agricultural buildings can be assigned to three phases, from the late 18th to the late 19th century. 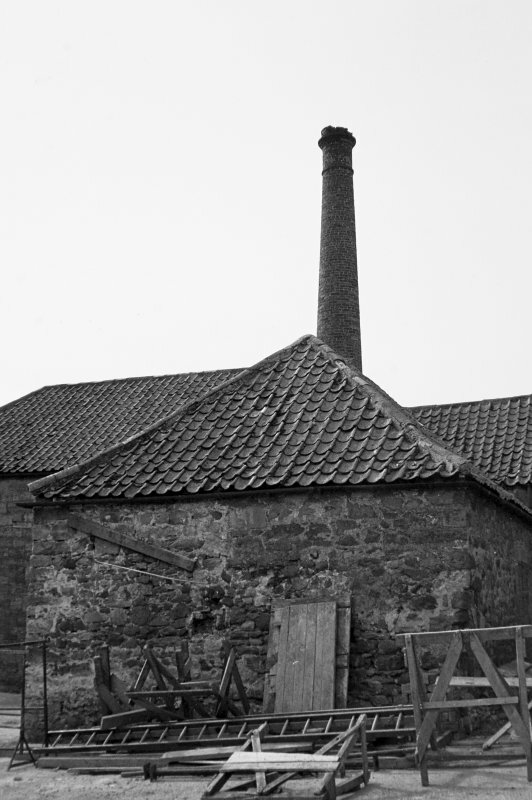 They include the remains of a late 18th-century steading, expanded with the addition of a cartshed/granary and, most interestingly, a mid-19th-century threshing mill that probably housed a combined thresher driven by a stationary steam engine. The adjacent engine room and brick stack are well preserved, and bearing boxes are still in situ.